at the Laparoscopic Surgical Center of New York offer comprehensive laparoscopic treatment for hernias, which develop when an internal organ protrudes through the cavity that contains it. Hernias typically occur near the groin, but can occur in other regions of the abdomen as well. To learn more about the different types of hernias and how we treat them, contact our Manhattan, New York, office today and schedule a consultation. An inguinal hernia occurs when part of the intestine or other soft tissue protrudes through the abdominal muscles. Inguinal hernias are more common in men than women. An inguinal hernia occurs in the lower abdomen on one or both sides of the pubic region. Patients may experience a bulge in this area accompanied by a burning, gurgling, or aching sensation. An inguinal hernia often causes pain or discomfort exacerbated by bending over, coughing, or lifting. Pain may extend into the upper thigh or scrotum. Other symptoms may include heaviness, weakness, or pressure in the groin. The diaphragm has a small opening through which the esophagus passes, allowing food to proceed to the stomach. A hiatal hernia occurs when the stomach pushes upward through this opening, causing food and acid to back up into the esophagus. A patient with a hiatal hernia may not experience any symptoms. Larger hiatal hernias, however, can cause heartburn, belching, difficulty swallowing, and pain in the abdomen or chest. More severe symptoms can include vomiting blood or passing black stools, which may be signs of gastrointestinal bleeding. 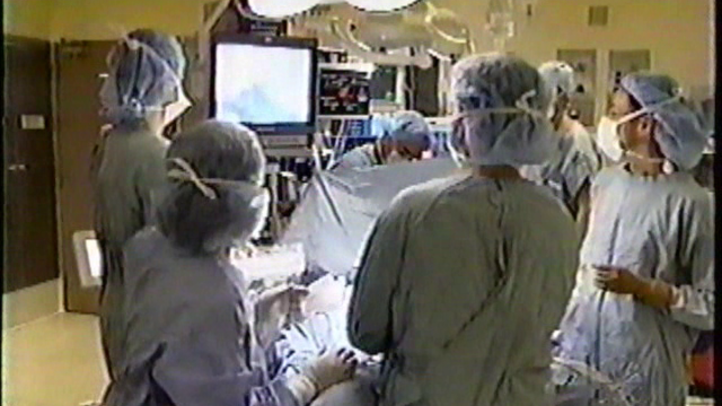 Video: Dr. Reiner performing a Laparoscopic Hiatel Hernia Repair as seen on NBC News. In this NBC feature, Dr. Reiner discusses and performs a Laparoscopic Hiatel Hernia Repair. This technique has allowed many patients to find lasting relief from the effects of gastroesophageal reflux disease. In many cases, surgical repair is more effective for patients than drugs. Ventral Hernias - This type of hernia occurs at the site of a previous surgery and can develop a few weeks to a few years after the procedure. Femoral Hernias - A femoral hernia occurs in the groin and is more common in women than men. This condition is often caused by pregnancy or childbirth. Umbilical Hernias- An umbilical hernia occurs near the navel and usually develops during infancy. Some umbilical hernias resolve on their own, while others exacerbate over time. An umbilical hernia can also result from being overweight, coughing excessively, or becoming pregnant. Epigastric Hernias - This type of hernia results when the inner lining of the abdomen pushes through a weak area of the upper abdominal wall. 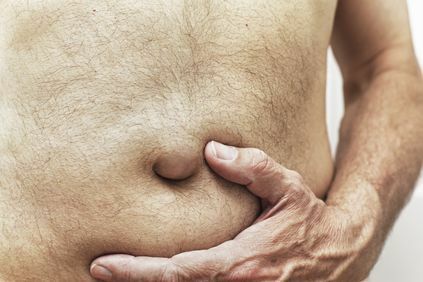 Men are more likely to develop epigastric hernias. Our experienced surgeons use sophisticated technology to diagnose hernias and recommend an effective treatment plan. 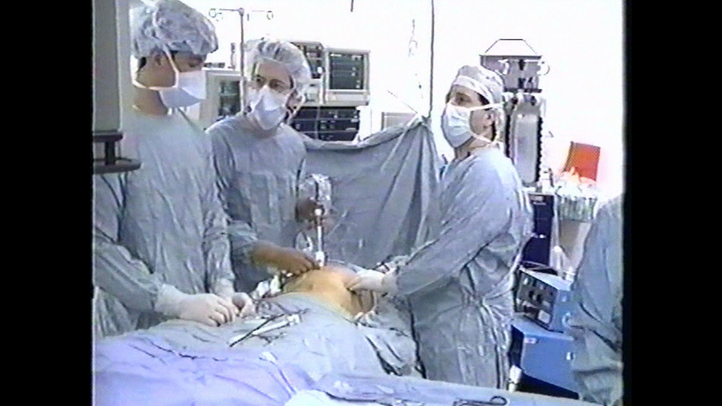 Video: Dr. Reiner performing a Laparoscopic Inguinal Hernia Repair as seen on ABC News. Dr. Reiner discusses and performs a Laparoscopic Inguinal Hernia Repair. The minimally invasive technique has several benefits, including a shorter recovery time and minimized scarring. Using a laparoscope also allows the doctor to avoid muscle incisions, which greatly reduces the overall risk of complications. Laparoscopic treatment of a hernia involves using relatively small incisions and special surgical instruments. This precise, minimally-invasive technique is often recommended for treating a recurring condition, or for treating and preventing a bilateral hernia (occurring on both sides). The risk of blood loss, trauma to the surrounding area, overall discomfort, and recovery time are minimized using this approach. If you are experiencing the symptoms of a hernia, contact our practice to learn more about our specialized treatment options.